2018 had been a year that highlighted the initiation of gender mainstreaming and women empowerment activities in 24 Fairtrade coffee SPOs in Central Aceh Regency and Bener Meriah Regency in Indonesia, where the renowned Arabica Gayo/Sumatra coffee are produced. These activities were aimed to improve the existing situation of women participation in the organizational and economic activities of coffee SPOs. The improved women participation is expected to transform further the coffee supply chain in the region into a more gender equal state. The coffee SPOs in Gayo are composed of 8165 female members and the SPO’s top leadership is constitutes 22.3% women leaders sitting in the executive and the supervisory board of the cooperatives. Women have always taken part in the Gayo coffee supply chain. The work of red cherries’ plucking (harvesting) has been traditionally done by female members of the farmer’s family. In the processing facilities, the work of bean sorting is also usually done by women. Recently, women are also encouraged to do small pruning. The sharing of the farming’s works is evident in the region, women may do the grass trimming and the fertilizing. Women in Gayo have traditionally participated in the decision making and the management of household and farming. Despite this situation, there are still gaps to be improved in order to achieve a more gender equal state. These notable gaps are the lack of women representation, especially in the leadership of mix-membership cooperatives and also female farmers still face some constraints in becoming members of cooperatives as they do not own land (land ownership is a prerequisite to cooperative membership). These gaps led to the implementation of gender mainstreaming and women empowerment activities in 2018, where this program of activities were conducted in partnership with TPSA Project Canada. Fairtrade NAPP and TPSA share a common objective of promoting gender equality and contributing to the empowerment of women. The overall goal of the Fairtrade gender strategy is to attain gender equality and women’s empowerment in producer organizations through building women’s and girls’ power and agency. Acknowledging that existing gender norms and dynamics prevailing in the local context where the coffee cooperatives operate do affect women’s participation in coffee cooperatives, Fairtrade views that women’s empowerment in coffee cooperatives could be achieved by – (1) increasing and strengthening women’s participation at the farm level, (2) increasing and strengthening women’s participation at the level of farmers’ groups and, (3) increasing and strengthening women’s participation at the organizational level of the cooperatives. During July to November 2018, Fairtrade NAPP and TPSA Project Canada have collaboratively implemented four gender mainstreaming and women empowerment activities, culminated by the establishment of Women in Coffee Forum on 29th November 2018. The journey started in July, with the mini-workshop that involved 22 female leaders from 8 women-led cooperatives. In this event, Fairtrade NAPP and TPSA Project Canada explained the importance of gender awareness and gender mainstreaming at the individual and organizational level, and the position of the female leaders as the change-makers that can promote and enable the gender mainstreaming in their respective organizations. As change makers they need to be equipped with necessary knowledge and skills that would enable them to conduct necessary interventions in order to develop gender awareness, knowledge and skills of the cooperative’s staff or members. 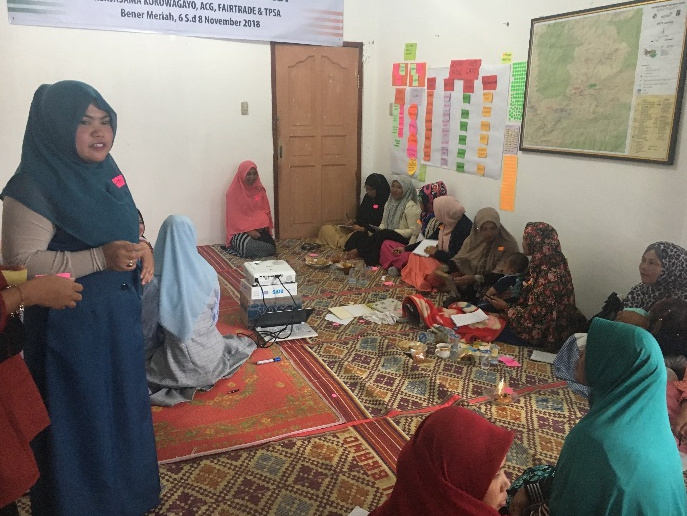 Fairtrade NAPP Indonesia and TPSA Project Canada introduced the concept of gender responsive governance as the vehicle of gender mainstreaming and women empowerment in their cooperatives. Gender responsive governance is a set of governance policy and conduct that create equal and fair opportunity and access for both genders. In this workshop, the female leaders co-planned with Fairtrade NAPP and TPSA Project Canada in implementing three gender mainstreaming activities: (a) the gender awareness training workshop, (b) the training of trainers on women leadership, and (c) the pilot training on women leadership at two cooperatives, as a capacity building that will support the conduct of gender responsive governance. 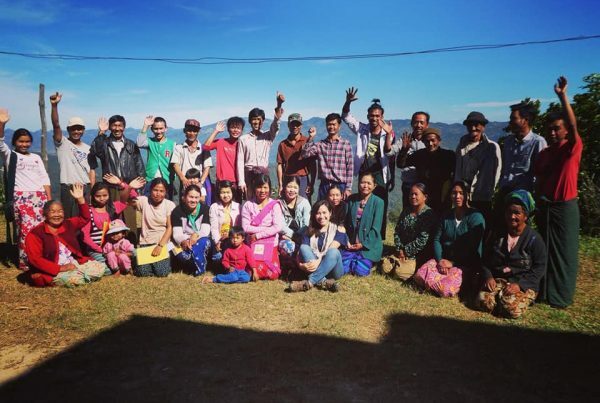 The gender awareness training was conducted in October 2018 with the participation of 38 leaders from 24 coffee cooperatives. 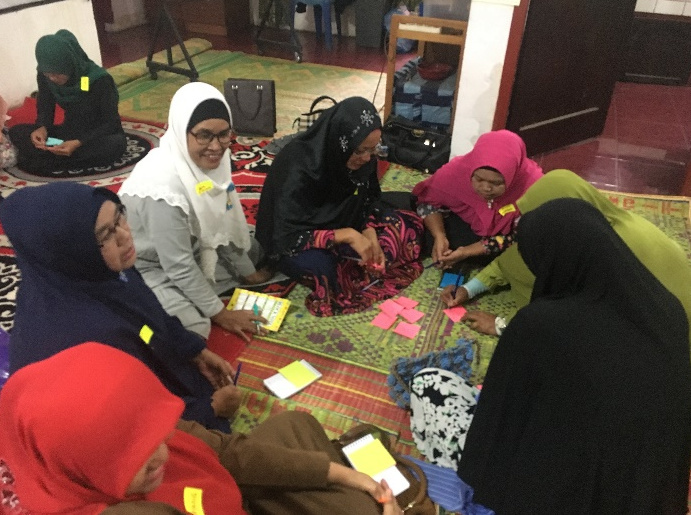 The one-day training workshop was designed to build the awareness of both male and female leaders of the mix and women cooperative about the values and the principles of gender equality and the importance of gender responsive governance. This activity is mainly intended to result in the output of action plan that addresses the gaps in the current conduct of governance in each cooperative with regard to the gender responsive governance. 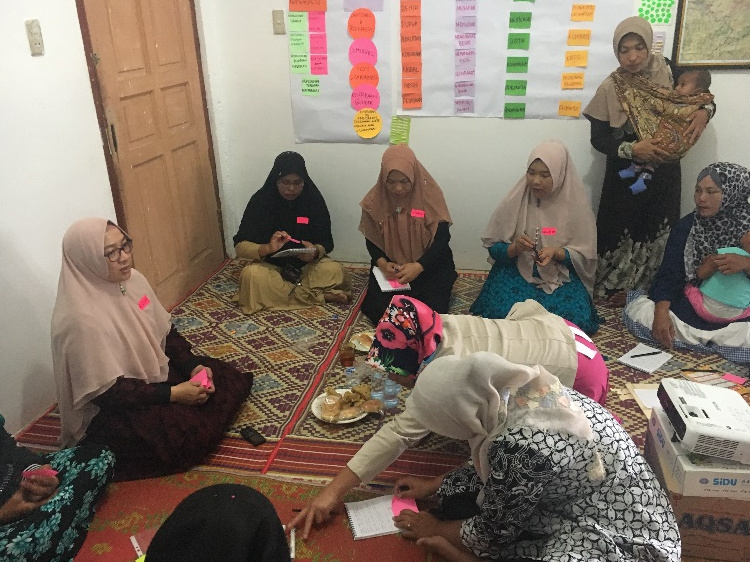 Following the gender awareness training, was the training of trainers of women leadership that had been conducted on 15th – 19th October 2018 in Takengon, Central Aceh. This training trained 18 female leaders (both from executive and supervisory board) from 6 women-led coffee cooperatives. The training aimed to instil leadership knowledge and skill that would enable them to implement such gender responsive governance. The curriculum for five-days training encompass knowledge and skills of: (a) the concepts of gender and the analysis of gender; (b) the principles of cooperative and Fairtrade Standard; (c) the transformative women leadership; (d) the concepts and the skills of facilitation; (e) the concepts and the techniques of communication and networking. The training ended with the participants creating individual and organizational action plans with regard to the improvement of the quality and the quantity of women’s participation at the farm level, group level and the organizational level, this includes the implementation of women leadership training at their respective cooperatives. The next activities were the women leadership trainings in three SPOs. The participants of the training were farmers’ members of the cooperatives. In total 38 female delegations and farmers from these 3 SPOs had participated in the training. The curriculum of three days training was focused on few major aspects: (a) the concepts of the gender and the gender analysis, (b) the principles of the cooperative and the Fairtrade Standard, (c) the gender responsive governance, (d) the transformative women leadership, (e) the groups dynamics and the facilitation, (f) the effective communication. The materials have been customized to the contextual capacity and need of the farmers. The female farmers need to be further encouraged and facilitated to participate in the group meetings and any activities held in the cooperative, be it capacity building or any governance-related activity that require the participation of the members. The training ended with the participants created individual action plans with regard to the improvement of the quality and the quantity of women’s participation at the farm and group level. The gender mainstreaming program in 2018 was culminated by the establishment of Women in Coffee Forum on 29th November 2019. The main reason for holding the event of launching the women in coffee forum is the need to lay further foundation (another phase of the gender mainstreaming) for the sustainability of the gender responsive governance that has been initiated in the previous activities. The foundation of women in coffee forum is a response to the need of the women leaders that had surfaced in the Training of Trainers of women leadership, that they need a particular forum where they can express their aspirations more freely. This forum will also serve as media of empowerment and further capacity buildings, that can be initiated by the women leaders themselves and other organizations that may be interested to do collaboration with this forum. The main mission of this forum is to ensure the sustainable implementation of the gender responsive governance, until it becomes the core value of each Fairtrade cooperative. It is aimed that within this forum the women leaders can thrive further in cooperation through network building and personal/organizational linkages. Through a democratic process the forum had decided to choose the three forum’s coordinators. 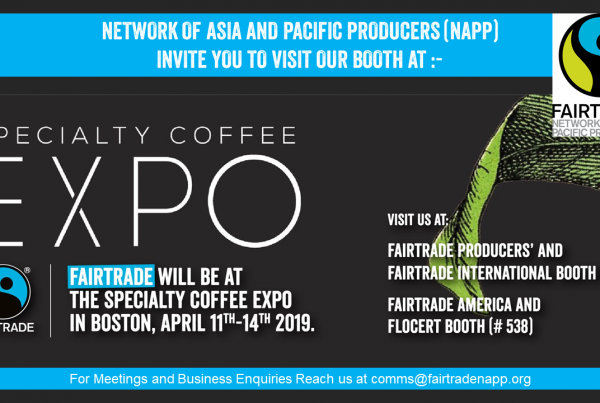 The forum aims to hold activities of capacity building/strengthening that are related to the Fairtrade Standards, Export, Women Capacity, Coffee Business Capacity, Governance and Management.